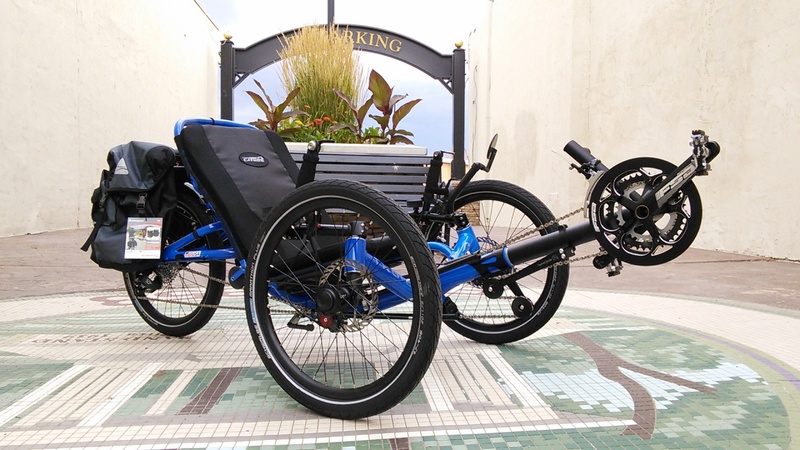 The Catrike Trail is a folding recumbent trike that can be transported easily without removing the seat and features small wheels to roll the trike while folded. 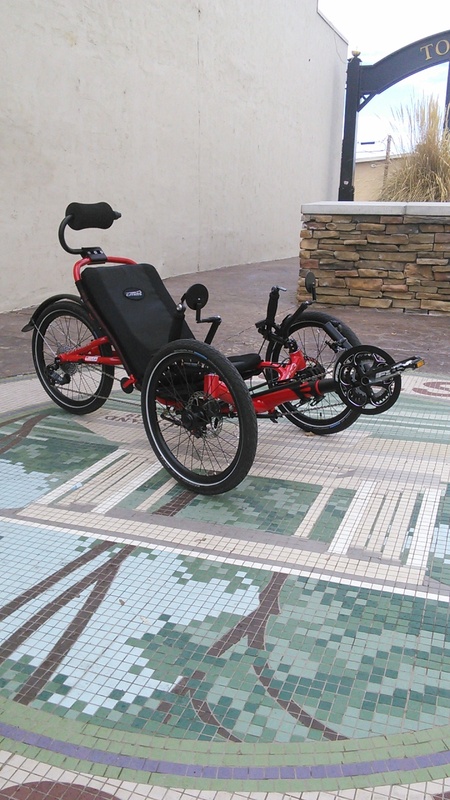 It's a fast adult trike with lots of options including electric motor assist. It folds? Yes. It folds in half. 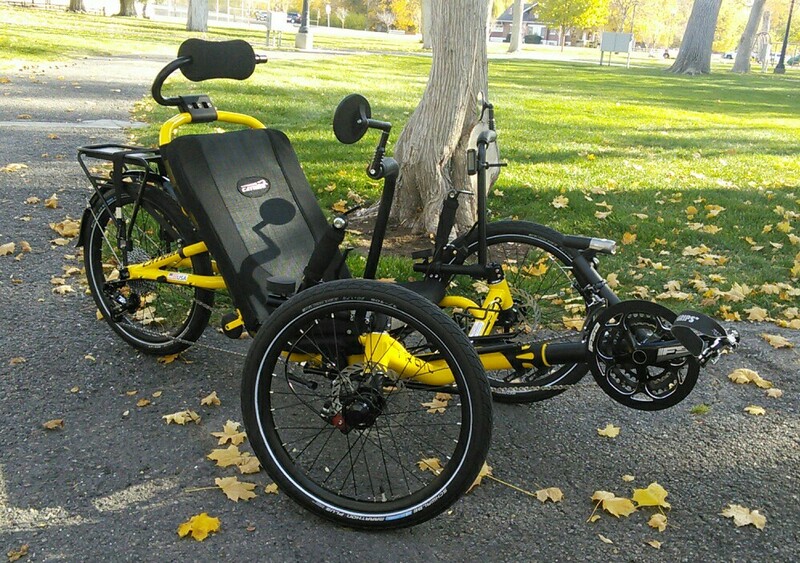 The folding feature is a favorite feature of those who like to take their trike with them on the road, but don't have access to a rack or trailer to haul it. 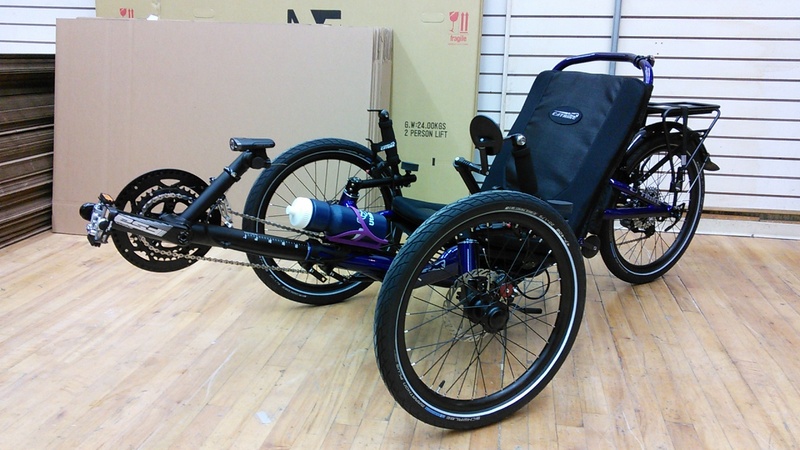 The Catrike Trail folds right up and can fit in the back of your car, SUV, van, or what have you. It's a durable and reliable hinge that's easy to operate. 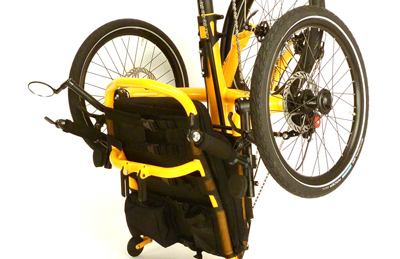 The frame of the folding trail is very similar to the previous non-folding version of the Trail. Why mess with success?!? 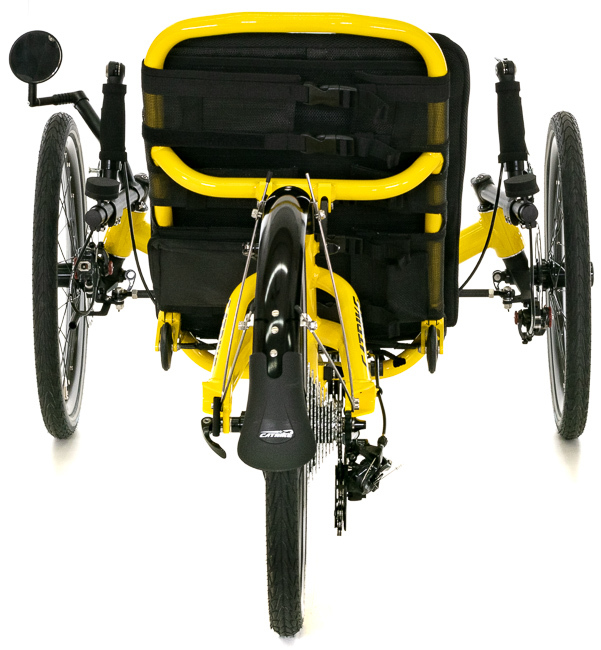 The most noticeable change (besides the folding features) is the new and improved upper seat. 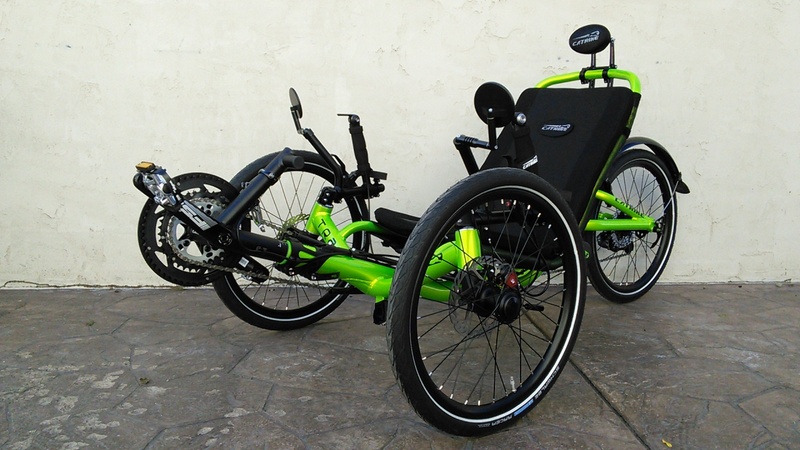 The Trail is Catrikes first adjustable-seat-trike to feature the "ergo curves" found on the Expedition. 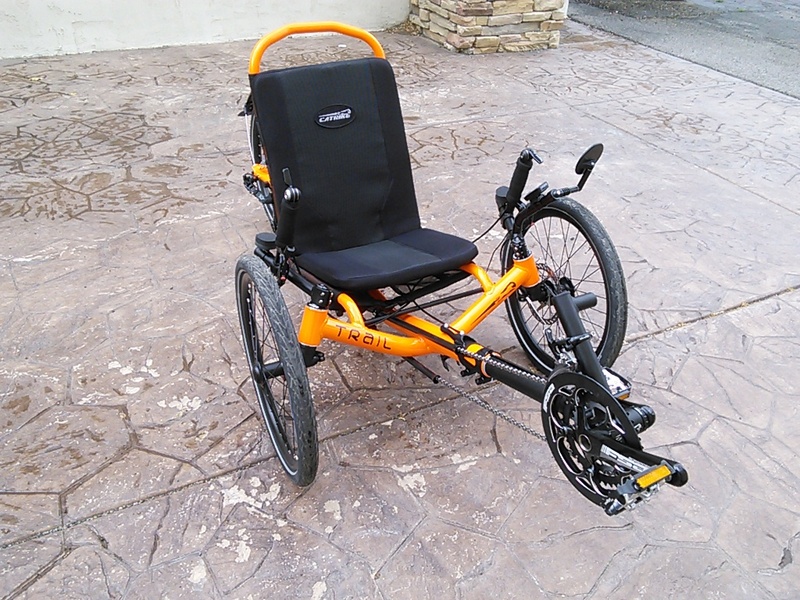 In addition they made the seat a bit taller for better upper back and shoulder support. You'll also notice that the previous mesh has been replaced with a lightweight mesh with velcro supports for the new seat pad. 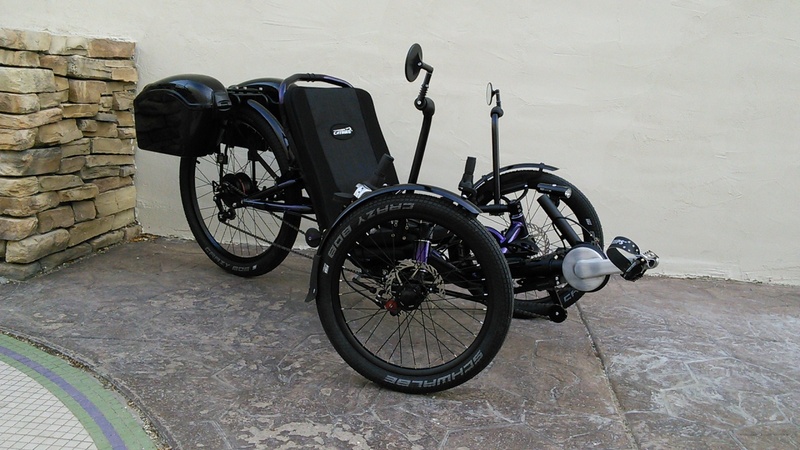 The Catrike Trail comes stock with the Avid BB7 mechanical disc brakes and Avid Cleansweep 160mm rotors. These are a proven brake. They work great and are easy to adjust. 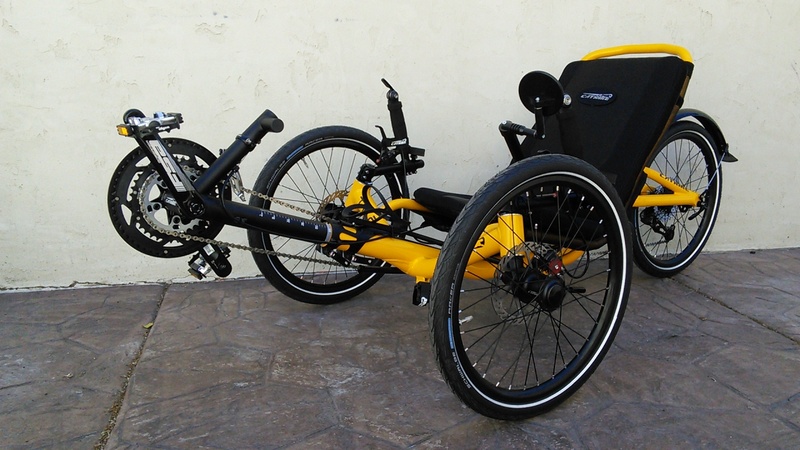 This American-Made trike is a fantastic example of Catrike's engineering skill. 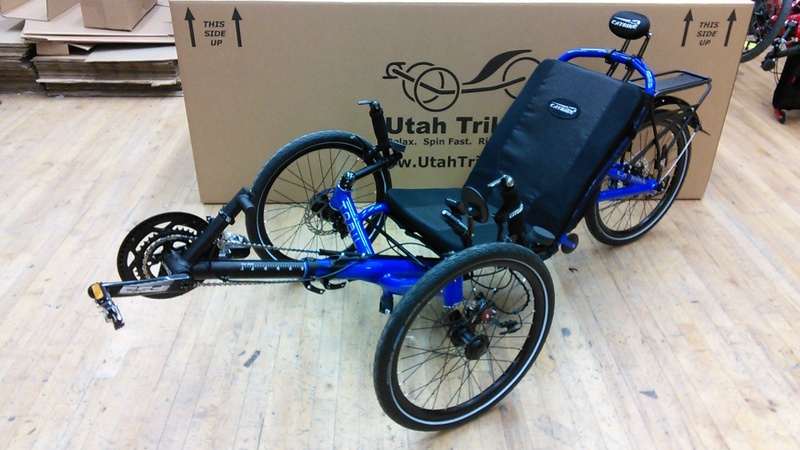 The new folding Trail features a redesigned seat with a curved lumbar support and higher mesh area for better upper back support. 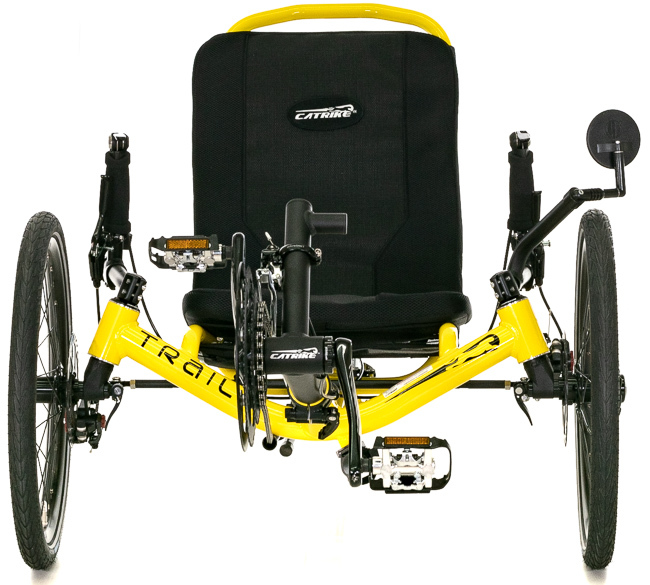 The seat also features a breathable pad making the Trail arguably the most comfortable trike in the world.